ADALYNN was born with a congenital heart defect. To put this into perspective, approximately 1 in 100 babies born will have a congenital heart defect, which means approximately six babies are born with a heart defect every day in Australia. Heart disease is the biggest killer of Australian kids under one. 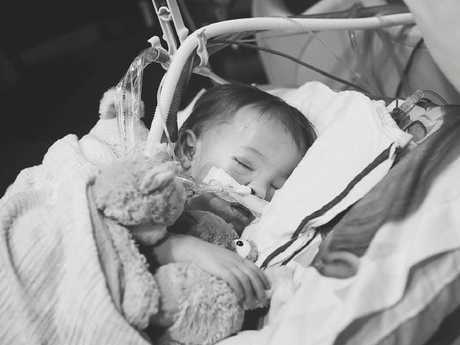 Tragically, at the age of 2, while waiting for a heart transplant, Adalynn passed away in a children's hospital in Nashville, Tennessee. 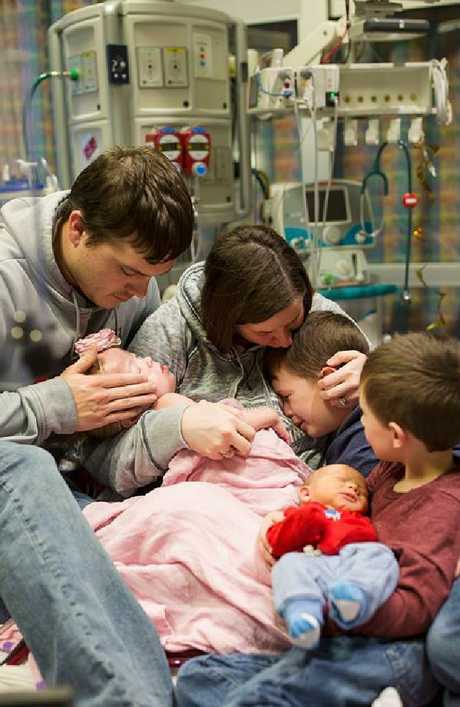 Her devastated parents Justin and Kristi were by her side, along with her three young siblings. Photographer Suha Dabit, founder of Facebook page World of Broken Hearts, was present to take photos of Adalynn's final moments. Sharing the pictures on Facebook, Suha wrote: "There aren't any words to describe the pain and love I witnessed. CHD claims so many lives, too many lives. It tears families apart and forces siblings to grow up way too fast. It changes you in every aspect of your life, and to the very core of our heart and soul." 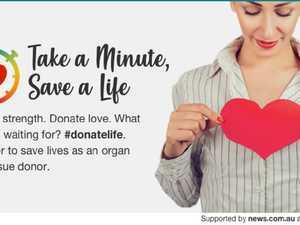 The images have since been shared all around the world, to bring attention to CHD and the issue of organ donation. Suha spoke to news.com.au about the hours leading up to Adalynn's death. "Adalynn suffered from complications due to the right ventricular assist device (RVAD), that was implanted when her heart started to fail," she explains. "The RVAD is a mechanical pump that is implanted inside a person's chest to help a weakened heart pump blood. Although it can be lifesaving, it also comes with many complications." 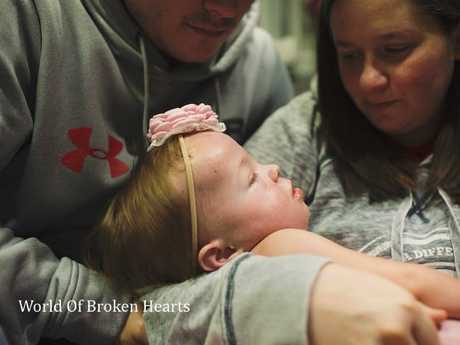 "Adalynn was admitted on November 8 and the RVAD was implanted on December 18. 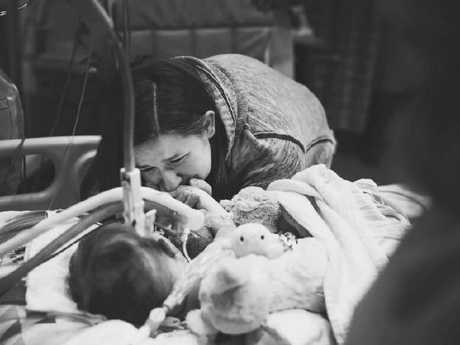 Adalynn aspirated and that caused her to be without oxygen for 15-25 minutes, leaving her brain severely damaged." 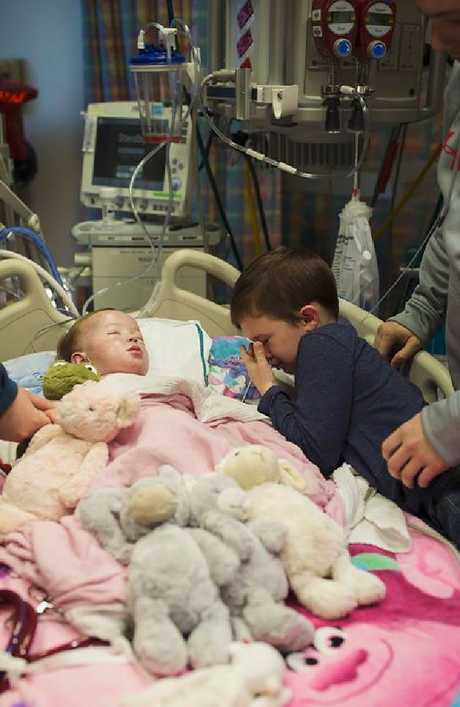 The doctors then made the decision to switch the little girl to an ECMO machine, to drain the blood from the vein, add oxygen, remove the carbon dioxide, warm the blood and then return the blood to the artery and pump it through her body. This method allows the blood to bypass the heart and lungs, allowing them to rest and repair. 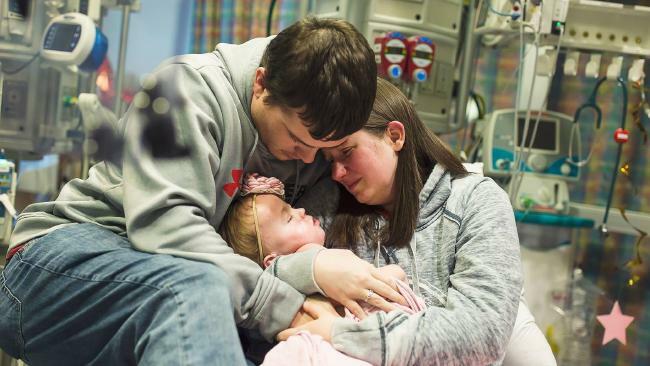 But unfortunately, after further testing, it was determined that Adalynn's brain was indeed severely damaged and she was no longer eligible for a heart transplant. "Addy was still supported by ECMO when I came and took the images," recalls Suha. "ECMO was removed shortly after I left to let her pass on in the presence of her closest family members only." Adalynn's plight resonated with the photographer. Suha herself is the mother of a little girl who had a similar story. "[My daughter] was also born with a half a heart, went into heart failure and needed the Berlin Heart (similar to the LVAD) but did fairly well with it and received her heart after six months of waiting," she says. 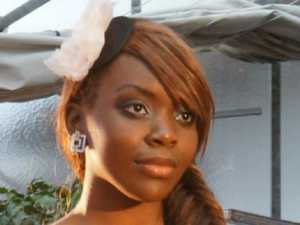 "We have a happier ending and were able to bring our sweet girl home again. That was five years ago." "I have been in their shoes. This could have very easily been us. I felt Kristi's unconditional love for Addy and the excruciating pain. It was hard, I could barely hold it together. I left with a piece of my heart missing. I wish no family would ever have to go through this, but it happens, every day. "Although I knew it would be extremely hard to take these images, I knew that these will be their last memories of her captured. I know they will hate and love looking at these images forever." 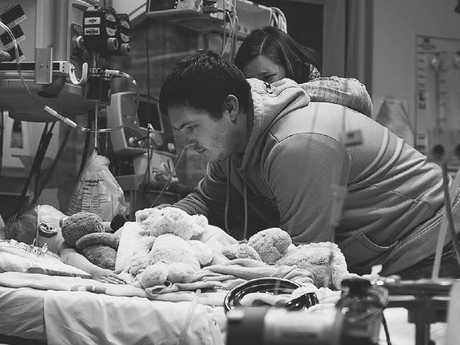 "I offer all the families I photograph at the hospital to keep the images I take private. I am thankful that Kristi and Justin allowed me to share such intimate moments of their family with the world, to spread so much needed CHD and organ donation awareness. This is CHD. The Pictures are as raw and real as it comes. We need a cure. We need research funding."